We Yell, We Cry…Part 2 – The Worst Mom Ever! We drove home in absolute silence. We now had one hour at home, before we had to leave for a birthday party. I decided I would make macaroni and cheese so the kids could eat quickly and I could drop The Plan off at the party by 3:30pm. Now here came the next argument. This time it was about tuna. Yuppp you read that right. Tuna. The Life wanted tuna in his mac and cheese, Baby Girl and The Plan think it’ s gross so of course the whining started again. (I don’t know what it is about that whiny voice that just drives me nuts!!) I was feeling guilty about losing it on Baby Girl earlier so, to keep the peace, I offered to add tuna to some and leave the other plain. No big deal. After lunch was served, we had about 20 minutes before we had to leave for the birthday party. Baby Girl really wanted one of those drinkable IOGO yogurts for dessert so I gave it to her because, after all, what harm could yogurt do? The kids went off to keep themselves entertained while I cleaned the kitchen. (As much as I hate the seemingly never ending kitchen cleaning, sometimes it’s the only time everyone gives me a moment of peace) Then I heard the arguing. It was between The Life and Baby Girl. The next couple of minutes are a complete blur. I was so overcome by rage emotion that I don’t even remember it all very clearly. It turns out that Baby Girl had taken something The Life was playing with and wouldn’t give it back so The Life took Baby Girl’s yogurt and spilled it out on the driveway. They were both telling me their side of the story simultaneously and although The Plan had not been involved, he maneuvered his way into the argument by taking Baby Girls side in an attempt to dig The Life deeper into trouble. That was the straw that broke the camel’s back. I went over the edge and began to yell at all three of them. I don’t remember the specifics of what I said but I do know that I ended it with “and be assured we will not be going to Wonderland tomorrow!” We had been planning to go to the opening day of our local amusement park for months, we had been counting down the “sleeps” for two weeks and this particular day was going to be the beginning my count down to 40 (more on that in another post). The kids fell silent and I stomped back into the kitchen. BEEP! BEEP! BEEP! It was time to leave for the birthday party. On the bright side, the kids were smart enough to not complicate things and they got their shoes on and into the car much quicker than I would have expected. Considering the day I was having, I was happy that we were running on time and arrived at the party a few minutes early. So early in fact that the birthday host wasn’t even there yet. We waited around and when it was 10 minutes past when the party was supposed to start, we asked the front desk if perhaps the party was already inside. Turns out we were at the wrong location! The party was actually 15 minutes from my house in the opposite direction. In an attempt to make this very long story short, by the time I got home that evening I had completely broken down. 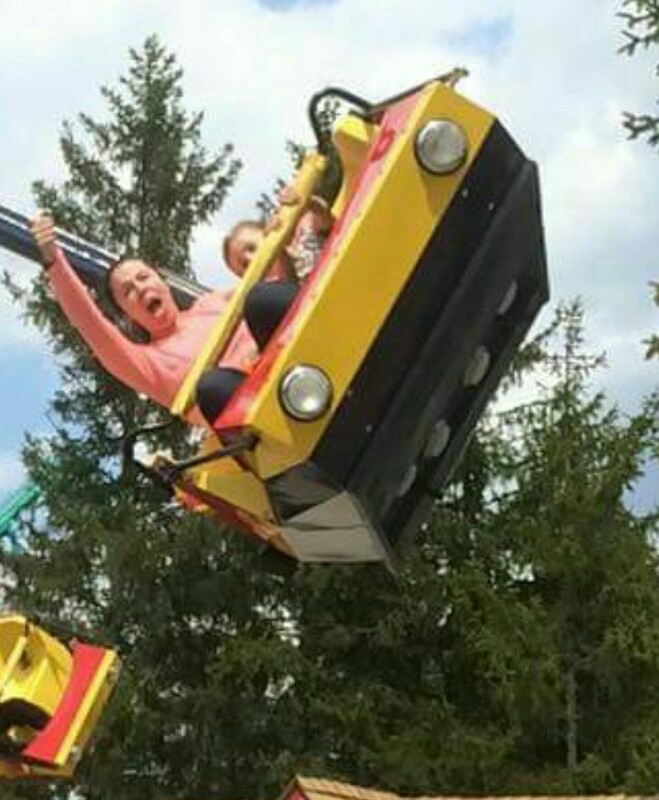 I was frustrated that the kids couldn’t get along, I was tired from running around all day, I felt guilty that I had yelled at the kids, and I was disappointed that we were not going to Wonderland as I too had really been looking forward to it. And so I cried. By this time Mr. LibertyDee was home and he has gotten better at reading the cues and so he made sure I got my space but boy did I cry. I felt selfish that I wanted time to myself, I felt torn and thought perhaps we should go to Wonderland after all, then there’s all that motherly guilt about the lack of patience and having The Plan miss half the birthday party. It was awful. I felt awful. I went to bed. When I woke up Sunday morning I remembered a saying I had recently heard on Downton Abbey “We yell, we cry, but in the end we all die” and with that I woke everyone up and off we all went to Wonderland. It was amazing. A day I’m sure the kids will remember forever . I only hope that it was so great it over shadows the day before.